Fit Fluential Mom: Gatorade vs Water: Why Water is the Only Way to Go! Gatorade vs Water: Why Water is the Only Way to Go! 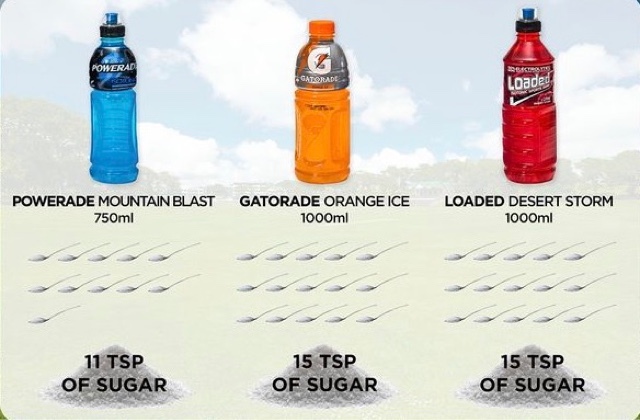 Summer is approaching & so is the misconception that kids NEED Gatorade after playing sports to replenish electrolytes. No, they don't, just like they don't need the 34 grams of sugar that a 20 I'd bottle of it has! Water 💧 is ALL you and your kids need even while playing sports in the heat! Besides the small amount of potassium, what else does the sports drink offer? Thirty-four grams of sugar. If a child with an empty stomach is given 34 grams of processed sugar, the sugar will flow into the bloodstream quickly. A banana and a clementine both have fiber, which slows any natural sugars from entering the bloodstream. 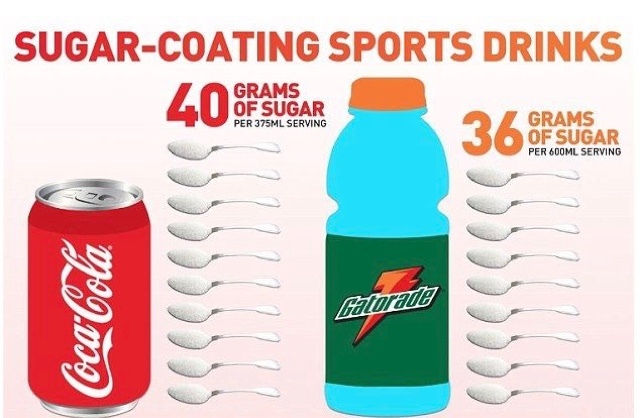 There is no fiber in the average sports drink. This rush of glucose will raise a child’s insulin levels, and this elevated insulin triggers his body to store fat and to hold on to existing fat stores (for a good resource on this process, check out Mark Hyman’s book “The Blood Sugar Solution”). When the sugars hit the liver, they can be deposited there. So even when a kid isn’t “fat” on the outside, there is unnecessary fat storage happening on the inside, which, along with confused insulin responses, predisposes a child to all kinds of disease. Water and an orange and banana will give you the potassium, vitamin B, vitamin C, folate and magnesium to help prevent cramping. And this doesnt even address the issues and horrific effects food coloring have on the body and especially a child's growing nervous system. Portions of this article were taken from the Washington Post article on the same topic.